Conwy: Accommodation, Attractions, Activities, Going Out, Shopping, Things to Do, Places of Interest, Outdoors, Conwy Holidays, Conwy Area Location, North Wales. Visit Conwy: with its famous 13-th century historic castle, yachting marina, Smallest House in Great Britain, quayside, shops, pubs and restaurants and historic bridges over the Conwy estuary, superb scenery and ideal location for all sorts of holiday activities. Conwy Castle Conwy is acknowledged as a World Heritage Site. Its medieval castle, complete town walls and historic buildings, could be one of the finest walled towns in Europe. 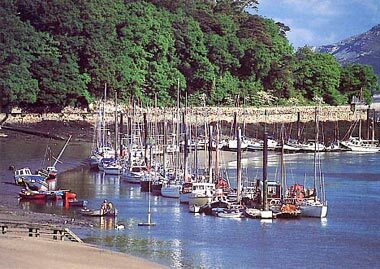 The imposing grey battlements of Edward I's 13th century Castle, the colourful scene of the harbour with its graceful yachts and fishing boats, outstanding views - form a strong contrast. On Conwy Quay is The Smallest House in Britain - it is only six feet wide and eight feet high. Now owned by the National Trust, it fdisplays life in Conwy from Roman times to the present day. Another house to visit in Conwy is Plas Mawr, an Elizabethan town house. The Royal Cambrian Academy Art Gallery in the town - in Crown Lane. Conwy Butterfly Jungle provides an interesting way of seeing free-flying tropical butterflies There is a Teapot museum in the town. Just outside Conwy in the Sychnant Pass is Pinewood Riding Stables where you can try horse riding. 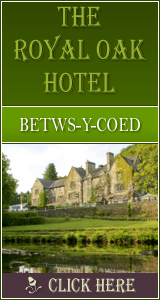 Conwy Touring Park The caravan park, campsite and campground is perfect for a Camping and Caravanning holiday. Conwy Castle: History and Heritage Attraction in Conwy, Gwynedd, North Wales.